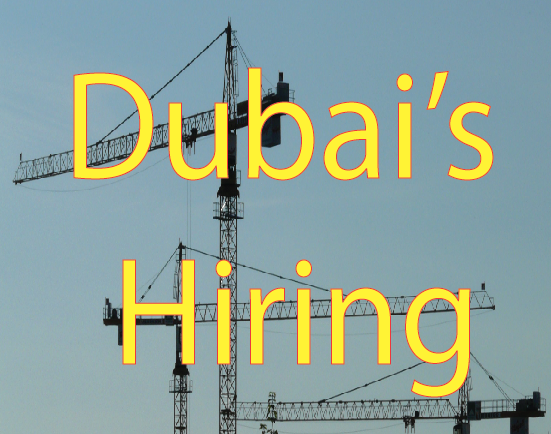 Recruitment in Dubai should come with a hazard warning but Mike Hynes wants things to change. Let's bring integrity back into the job market. Over the past few years the recruitment industry has been the subject of much criticism by job seekers particularly. Like football hooliganism, it seems that the unruly few have tarnished the reputation of the good. Today, there is a more sinister issue developing that has the potential to make the whole recruitment process less efficient, less effective and stifle the placement of talent in the right positions. Integrity. More specifically, a lack of it, from both candidates and their clients. Whilst it could be yet another case of the minority spoiling it for the majority, having spoken to quite a few recruitment agencies the lack of integrity in the industry would appear to be more prevalent than any of us would like to think. So much so, that a leading global recruitment company is sending a delegation from their head offices in Australia to Dubai to investigate why this is happening and what can be done about it. So why is it such an issue and how does this lack of integrity manifest? To fully understand why it is such an issue, it is important to understand that the majority of recruitment agencies in the UAE operate on a contingency basis. That is, the agency does not get paid until the candidate is placed and employed by the agency’s client. The time-consuming screening and pre-selection of candidates is carried out on a basis of trust. Trust that the candidate is telling the truth and that the client is genuinely looking to employ them and will pay the bill, on time, when the work is complete. It is important to note that the agency’s only source of income is the client as it is illegal in the UAE to charge a candidate looking for a job. Another factor to consider in Dubai is the development of the labour market from a client lead market during the recent recession period to very much a candidates’ market these days. There are many more jobs available for good candidates to choose from, their salary needs are higher these days and they are ready to take advantage of this choice if an employer is not offering the right package. Compare that to 2009 when so many people were being made redundant, that a job seeker worth AED20,000 a month would happily grab that same job for only AED10,000 just to stay in the UAE. Many clients have failed to understand this dynamic shift and still think they can offer below market salaries, and often candidates are abusing the facility of choice without regard for the impact this is having on others. Once a candidate has been shortlisted to a client and they have specifically agreed to the terms upon which that job was presented to them, including salary and general package, and the client rightly expects this to be the case. Why then do so many candidates upon receiving a job offer at the advertised package insist on saying they need more? Why do they suddenly need AED 15,000 when all along the job they have been interviewed for was offered at AED 12,000? The net result is usually they do not take the job but what about the wasted consultant and client’s time meeting them? What about the other candidates who missed out on an interview because of them and who would be delighted to accept AED 12,000? It has long been the case that candidates do not value the initial screening interview at a recruitment agency, even though that is usually their only avenue to the client, and fail to arrive or arrive late. Now the client interview no show is happening more often. Candidates who have been included in an interview schedule with a client are simply not arriving and when quizzed about it by the consultant seem happy to advise they have received a better offer or are no longer interested in that position. So what happened to the common courtesy of letting people know if you have a change of circumstance? Again, what a complete waste of time and something which could easily be avoided with a little thought for others. Every client signs and agrees to terms of business from the very start of the recruitment process but more and more their adherence to these terms is forgotten when it comes to paying the bill once the agency has given them that perfect employee. Some companies are now paying the bills late and in extreme circumstances are refusing to pay at all. Thankfully, these refusals are few but are definitely on the increase, with one client notably admitting they owed the full amount but saying they only wanted to pay half the amount. No justification other than a wish to pay less even though the agency had worked for 3 months to find them the right person. The issue here is that it is very hard for the agency to do much about this without legal recourse. It is not like supplying a tangible product that can be retrieved for failure to pay. Integrity and trust is vital at this level. A full Job Description is supplied, advertisements are placed and paid for by the agency, screening interviews happen and 3 people are shortlisted. These 3 people take time off work to attend the client interviews. All is going well, hopes are raised until the consultant requests feedback from the client. Everything goes quiet. The candidates are asking for news but none is forthcoming from the client. Maybe the applicant’s visa is running out or they have some other personal issue hanging on this interview. Eventually, and it could be a month rather than a week later the consultant receives a one line mail saying the job is cancelled, we just wanted to see what was out there. A touch of honesty at the very start from the client and all the heartache, wasted time money and effort could have been avoided. If the client simply wants an idea of what kind of people they can get for the package they are offering, then ask the agency for some advice. Be open, honest and transparent from the start. There are definitely more examples we could quote and some people reading this article will relegate the points made to simply agency bleating or even say the agencies are getting what they deserve but how will that help job seekers find that perfect role? How will that help companies looking to expand get the talent they need to do so? If those involved in the recruitment process do not take these issues seriously and try to do something about them, then the consequences for economic growth at the personal, corporate and even country level will be impacted. If we all take positive steps forward to act with integrity to oil the wheels of the whole recruitment process everyone will benefit. If an individual feels they have not received the attention they deserve from a rogue agency why is it ethical to offer that very same neglect that they have so heartily criticised of someone else? 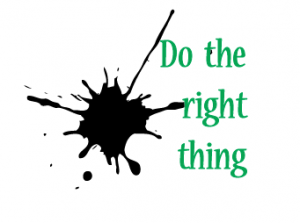 So many companies have powerful mission statements and codes of conduct that shape their reputation but at the same time damage that very reputation they are building through irresponsibility when recruiting. There has never been a better time for integrity to take a front seat nor is there a more appropriate place for such a value to shine than in the employment of people. Mike Hynes, Managing Partner at Kershaw Leonard, Dubai, has strong views on the lack of integrity in the recruitment industry in Dubai and would like to see changes being made by all sides. Candidates should be honest otherwise their application is a complete waste of time both for themselves, for the agency and for the client. Clients should be honest and straightforward when asking for assistance in finding suitable candidates for their vacancies. The industry does not deserve a bad reputation and to improve it we should all work together in a transparent and honest way. If you have any comments please let us know.